When you hear the term "opportunity cost" you are really hearing a fancy word for "trade-off." Every time you make a choice, there is a trade-off to consider. You must analyze what you are gaining as well as what you may be giving up. The most basic definition of opportunity cost is the price of the next best thing you could have done had you not made your first choice. Some economists like to break down opportunity costs into explicit and implicit. If you own a nice restaurant and you add a new item to the menu that requires $30 in labor, ingredients, electricity, and water, your explicit opportunity cost is what you could have done with that $30 had you chosen not to add the new item to the menu. You could have taken out of the business, given it to charity, spent it on clothes, or added a different menu item. If you have a second house that you use as a vacation home, the implicit opportunity cost is the rental income you could have generated if you leased it to tenants and collected monthly checks instead of used it for your own family. Although the concept of opportunity cost is heavily rooted in economics and finance, opportunity costs should be measured based on your own personal feelings and values. For example, if you like to cook, you shouldn't become a doctor instead of a chef simply because doctors earn more money than chefs. Furthermore, you can drive yourself nuts thinking about all of the things that could have happened if you had made different choices. What if you hadn't gone to the party where you met your spouse? What if you had bought into that financing deal that turned out to be a scam? What if you had gone to Stanford and become best friends with two now-billionaire technology giants? You could go insane trying to figure out all of the things you could have done, so decisiveness is still a virtue. 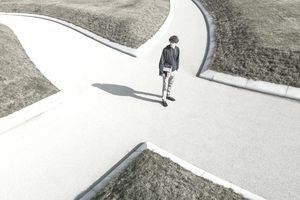 The goal of studying the concept of opportunity cost is not to make yourself constantly second guess your actions or strategy, but to make sure you are cognizant that your choices do have consequences. If you have trouble understanding the premise, remember that opportunity cost is inextricably linked with the notion nearly every decision requires a trade-off. We live in a finite world; you can't be two places at once. That means if you choose one restaurant tonight, you can't choose another. There are trade-offs involved in that decision, including the relative distance and travel time required to reach the establishment, the price of the menu items at each, the level of service, the type of cuisine, and the speed with which the food is brought to your table. Right now, in fact, you are reading this article when you could have been golfing, or writing, or exercising, or serving at a food bank, or using drugs, or learning a new skill, or jumping on a plane to a random country with nothing but $24 in your pocket. To the extent factors can be controlled, your life is the sum culmination of your past decisions. That, in a nutshell, is the definition of opportunity cost. What if Walt Disney had never started animating? What if Elton John had never composed songs? What if Warren Buffett had given up when he was rejected from Harvard Business School? What if Thomas Edison had stopped working on the light bulb when he failed the first few thousand times? What if Michael Jordan stopped playing basketball when he was cut from his high school team? What if Steve Jobs had never returned to Apple to lead its resurgence, fundamentally reshaping the future of technology?